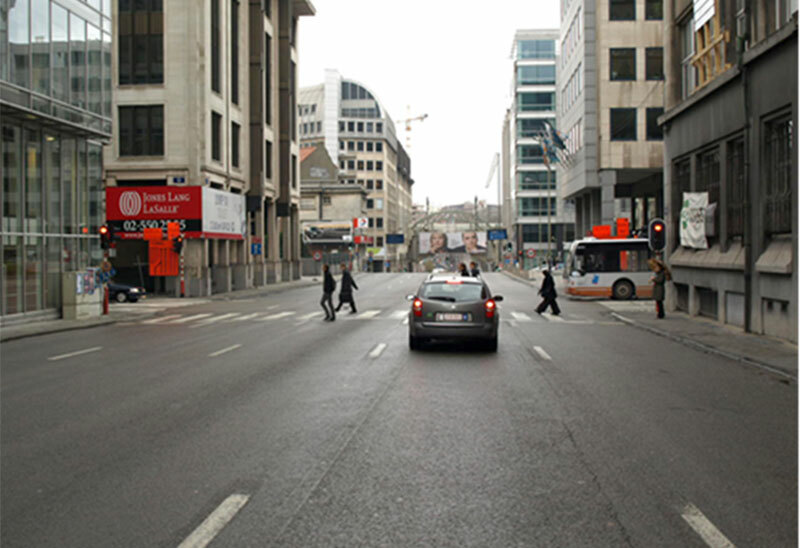 Rue Belliard, a five-lane highway used extensively by high-sided vehicles. 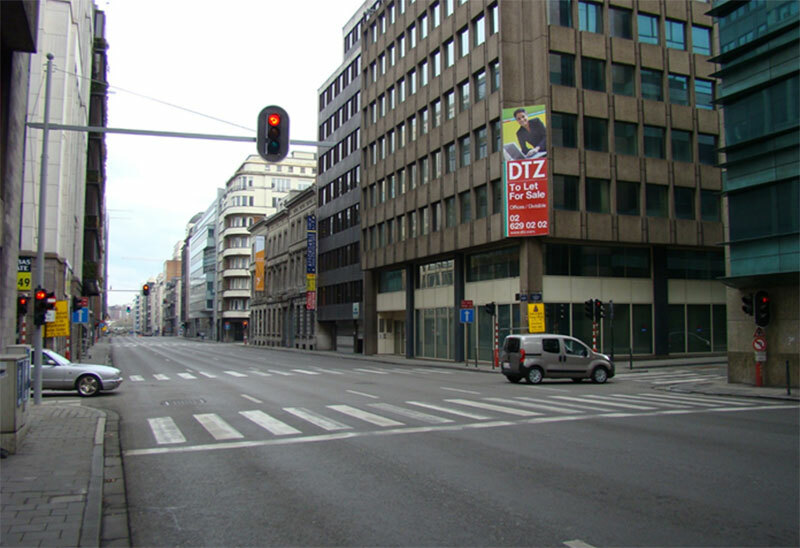 Both pavement-sited signals were repeatedly obscured. SRF funded the installation of overhead signals along the carriageway, ensuring a driver could see a ‘red’ aspect in all conditions.